Dr. Muhammad Ebrahim is a Dentist located at 177 Oxford Road, Razorite Medical Centre, Rosebank in Johannesburg. I was very impressed. 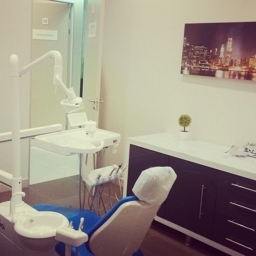 Coming with a fear of dentists, Dr Ebrahim made it comfortable and the whole process painless. His attention to detail was also great, and had a very friendly bedside manner. Great service and care at the practice couldn't have asked for any better, thanks guys.